8th grade – Teach. Empower. Transform. 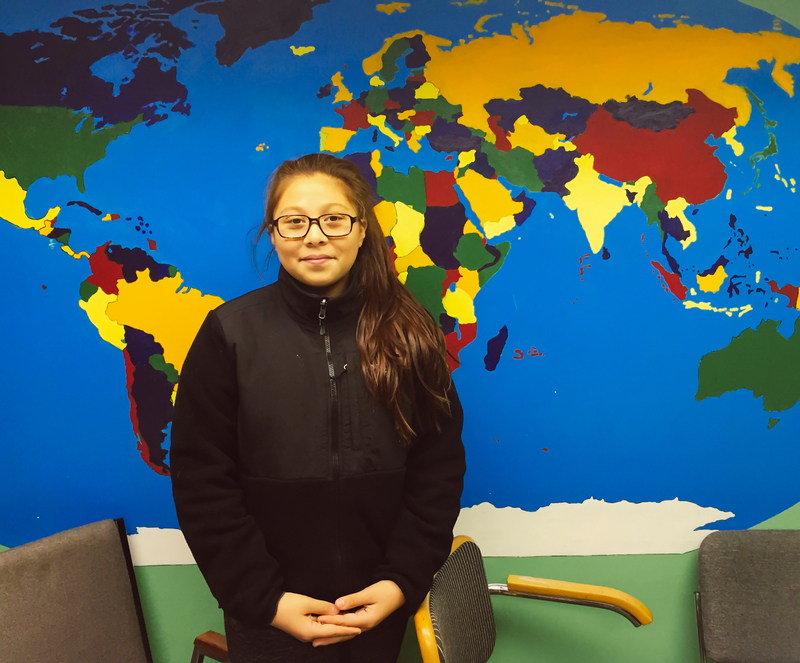 Paola is a 13-year-old 8th grader attending school at Sacred Heart, and she has been a student at FLOC since the 1st grade! Since joining FLOC, she has received great help from tutors and has learned new skills to use in her studies along the way. Paola is also an active participant in FLOC’S Scholars Program where she has been able to learn valuable skills relating to schools and her future. When asked about some of her fondest memories with FLOC and the Scholars program, Paola said that she enjoyed the OEC (Outdoor Education Center) and college tours, mainly because the bus ride with the rest of the group to and from were always hilarious. Paola’s overall experience with FLOC has been positive, because FLOC has a family-type environment and everyone here is friendly, helpful, and supportive. She hopes to continue learning new strategies and skills while at FLOC and to also gain new experiences. During her free time, Paola enjoys playing sports and reading, especially her current book The Catcher in the Rye.